This kit will add 15mm of width at each side of the Focus ST and RS . A total track width increase of 30mm. In the ST Focus we add a set of these on the front and on the back to widen the track to allow the New FRS 2009 19 inch wheels to fit and not foul any ABS wires or shock absorbers. The Pumaspeed Workshop team are ready to fit the Focus RS Mk3 Eibach Pro spacer kit +30mm in our Head Office located here. Therefore making parts and labour a total cost £160.99 (inc. VAT). 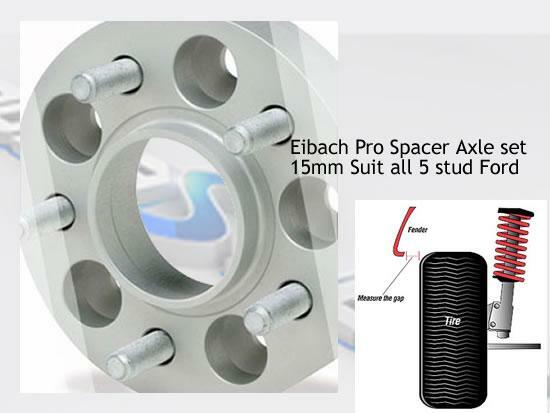 Pumaspeed have a specialist distribution team that can dispatch the Focus RS Mk3 Eibach Pro spacer kit +30mm to any destination worldwide.